Always concerned with improving its services, ESI has decided to merge its Hotline and Installation teams into a single Customer Support Center. Its mission consists in performing all the tasks necessary to maintain the applications of the ESI group that you use, and more generally, your operational business. This includes the hotline, software updates and upgrades, installations, configurations and monitoring of your ESI architecture. To offer you a personalized and quality service, this Customer Support division is organized in teams of 3 people, each being responsible and experienced with several clients. Your team is your dedicated and exclusive point of contact for all your needs concerning the operations and maintenance of ESI products. It can be reached through your extranet by e-mail at support@esifrance.net or by phone on 04 93 94 75 94. ESI was selected by the ARII to be part of the first 2016 promotion of the PACA Accelerator, with 7 other companies, a regional pilot acceleration program intended exclusively for innovating and mature companies in the phase of super and hyper growth. After a 360 ° strategic diagnosis carried out in 2016, ARII accompanies ESI with the appointment of a consultant-expert, who audited the Project service at the beginning of the year. «We have identified several optimization axes on the processing and realization of the Projects» says Olivier SAIGHI, Project Director of ESI. Thanks to this support, new procedures will be put in place while some others will be improved in order to further increase the quality of the services offered by ESI. As Technical Director of the ESI Group, Claude-Philippe NERI works in close collaboration with Alexandre REBOUL, Olivier SAIGHI and Sébastien HOSY. With their proven competencies and commitment, those 3 ESI employees have taken on responsibilities within the Group, their main objective being the quality of ESI products and services. Alexandre REBOUL started his career at ESI in 2002 as a trainee engineer, a period during which he developed the RC1 module. Following his Engineering degree from Polytech’Nice-Sophia, specializing in Vision, Imagery and Multimedia, he took part in the production of V1 until 2009, then left ESI to found his own company. Remaining close to ESI as an external consultant on several projects, he returned in 2014 to manage the M1 team. His efficiency and pragmatism are qualities that naturally lead him to take up the management of the development and support teams, in pairs with Sébastien HOSY. He nowadays manages the operational activities for the development of all R&D Team. A graduate of the same 2002 promotion from Polytech’Nice-Sophia and specialized in Software Engineering and Distributed Systems and Applications, Sébastien HOSY joined ESI in 2003 after 1 year spent at Accenture. Specialized in the development of web applications, he initiated the first light applications of ESI: M1Web, M1Admin then iManager. He first managed the M1 team, and then as of 2010, all of the development teams. Since then, he has been responsible for the development and support teams of the group. He mainly is in charge of quality and its control, the organization, the processes and talent management. In 2006, Olivier SAIGHI joined the ESI Support team following a Bachelor’s Degree in Engineering and Mobile Networking and he became a Validation engineer in 2009. His experience and competence in ESI’s products led him in 2011 to support the Hotline and Quality assurance teams. His obvious organizational and communication skills led him to position of Project team leader in 2016. In addition to managing a number of complex projects, he oversees and coordinates Project managers and Logistics technicians. This new set of skills has been recently put in place to improve the quality and responsiveness of teams while significantly reducing the processing and release times of software versions. The Video Wall V1 enables operators to view images on a videowall with a fully customizable configuration. It is accessible via a simple web browser. In each thumbnail of your videowall, the choice is given to display a video stream or a video round. The time period during which each of the streams appears is customizable. These round videos are fully automated and multi protocols. The engine manages by itself the chain of movies. Firefox & Chrome compliant. The emails handled by the F1 remain legible to the operators. Different techniques of identification of the calling device are possible and the protocol is adapted to the majority of the systems of the market using the email as an alert means. The AD1 is a module of F1 allowing remote monitoring operators to proceed to the VoIP audio verification exactly the same way than with RTC/RNIS networks, by using their telephone set. It ensures the routing of audio streams from the alarm transmitter to the operator and vice versa in VoIP through the XoIP. It makes it possible to ensure up to 30 simultaneous VoIP flows and thus 30 verifications or half/full duplex voice handling. AD1 also transfers the flow from one CODEC to another in the event that the transmitter does not use the G711A. The currently available CODECs are G711A and SPEEX. It therefore enables rapid adaptation of a conventional ISDN- type infrastructure to the world of VoIP. As a mapping tool integrated into M1, C1 enables geolocation of vehicles, isolated workers, dependent persons and external intervention forces. With its dynamic mapping system, it covers functions of geofencing, corridoring and tracking. Now integrated into the M1 Web, it is possible to geo-localize the latest known position of a set of devices and to know its status while reconstructing the history of localizations on alarms or the journey carried out. Your customers will be able to follow up their fleet, their personnel or their relatives. In order to better manage your fleet and your on-site operations, ESI has developed an intervention management application linked to the M1i Client platform. - Interact with your staff and speakers from your M1 business tool without having to go through other media (mail, SMS, fax). - Ensure a dynamic & automated monitoring of interventions: sending of requests for intervention, choice of management, presence validation on site, automatic timestamping with geolocation. directly transmitted via the application to the M1. As it is compatible with Xinterco, this application will enrich your product portfolio by offering your customers a management of intervention of security, assistance, guarding or technical. Le Softnet Manager permet de contrôler, diffuser et enregistrer le flux vidéo des caméras FishEye en mode PTZ virtuel. SoftNetManager integrates a new tool to read the video archive stored by HIKvision DVR/NVR. Movie searches are optimized with a new replay interface. Thanks to its new compatibility with the F1Com protocol, Softnet Manager is now able to receive events and send remote commands to F1 and thus exchange with more than 220 protocols. New protocols can moreover now be quickly implemented into SoftNet Manager. Scenario trigger: The PTZ camera moves to a predefined position that matches the received alarm, the operator receives an audible notification and then the display profile opens. - Synthesis of the state of the site sensors in a window with color code. - Alarms transmitted to a remote monitoring station during closing times. 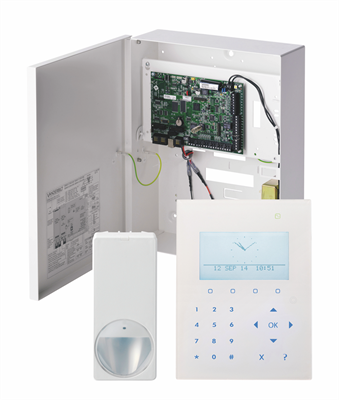 Thanks to the F1 / M1 synergy, the ESI solution offers a strong integration with the Gunnebo SecurWave 2 alarm panels. Thus your operators can from M1 iManager remotely program the users of the transmitter and M1 automatically synchronizes the event codes and the equipment declared on the alarm panel. We have also integrated the SIP protocol used by the SecurWave 2 to manage the voice. - Text to Speech (TtS) replaces the sending of an SMS by a telephone call along with a dynamic reading of a message ( for example, reading the result of a maintenance operation for a technician). In collaboration with Francofa, a DSC distributor in France, ESI provides an architecture for receiving the Sur-Gard SG-System 5 IP protocol with video via the ASPLink platform. Indeed, as the protocol is not open to integration in F1 and in order to avoid the acquisition of Sur-Gard 5 bays, an alternative is now offered. No need to be equipped with a new front end receiver in order to receive this information flow, a simple connection to the ASP platform through a secure connection is enough! The subscription fee is proportional to the number of connections, the period of ROI will no longer be a problem compared to the acquisition of front end receivers. The DATILink solution, for smart personal safety, communicates with the F1 to receive the alerts and alarms from isolated people. In order to provide an optimal reliability, the new SMPP protocol enables to receive and send SMS messages by connecting to an SMS service provider by overcoming the modem. This makes it possible to resolve incidents due to faulty SIM cards by ensuring an automated redirection of incoming SMS flows and thus avoid manual operations. This new reception process will improve the security level of the transmission of information for Lone Workers devices. ESI & ATUS, both renowned in the security sector, have merged their skills to offer you a complete PTI / DATI solution for lone workers. Via the ASPLink Cloud, the Smartbadge alarm sending terminal and the remote monitoring interface communicate in order to receive alerts and act in case of problem. With a weight of only 34 grams, the SmartBadge connected to a smartphone ensures the protection of the lone workers in case of fall, aggression or discomfort. Being localizable at any time, indoor and outdoor, at any floor, even in areas without GSM network coverage. The sending and closing of alerts can be followed up without consulting the smartphone. Thanks to its integrated RFID chip, it may also be used to control access to restricted areas. In order to make you compatible with the new protocols using VOIP, ESI has developed the AD1 module. This enables you to convert the received VOIP streams to F1 and transfer them to your XOIPs while maintaining the same listening and intercom management capabilities than the ones currently granted by (as you currently have on) your PABXs. In this context, no need to acquire a new VOIP-type PBX infrastructure. In the great technological migration, our old RTC and ISDN links will be supplanted by the digital Trunk SIP, H323, IAX links. But this migration is not new in the security sector, as Philippe CAMILLERI, Managing Director, underlines: «Many of our French or foreign clients have only TRUNK SIP links. Many Nordic countries, Switzerland, have undergone this change for years and the infrastructures that respond to these new imperatives are existing». While security professionals are discovering the existence of VOIP, ESI has deployed many IPBXs in remote monitoring stations to receive and dispatch VOIP calls driven by M1 to several monitoring centers. Moreover, F1 decodes VOIP flows and ensures the conversion to your PBX ISDN through the XOIP for several years. The disappearance of the local PSTN links forces us to replace the PSTN alarm panels by IP alarm panels , or connect the PSTN link to a converter to avoid such replacement . ESI therefore proposes the DUALCOM product. The availability of new integrated IP native protocols in which image and sound are conveyed in VOIP, either with standard protocols such as SIP, or through proprietary protocols (SPC COM, SCAIP , others). With VANDERBILT Company, ESI has just completed the development of the SPC protocol of the new transmitter/equipment of the global manufacturer. This integration realized with the help of our common client NEXECUR makes it possible today to have a fleet of panels permanently connected to the monitoring station and to receive the alarms and the audio in VOIP. Other manufacturers will soon be integrated by ESI. The use of SIP protocol available on the RTC port of internet boxes could enable to transmit DTMF or alarm modulations. Latency and distorsion problems which often occur during the signal transmission should also be considered. In the past, the 48V supply used to protect against any power failure; would such failure happen nowadays, then the transmitter will be completely deprived of connexion via the internet box. No alarm can therefore be transmitted in case of a power failure, except if a powerful inverter is connected to the box. The DUALCOM solution is available as a supplement complement to your alarm center. The compatibility perimeter of the product will expand by integrating step by step new protocols and functionalities. In front of the planned disappearance of the native RTC/ISDN links, ESI is currently developing a new release of F1 integrating a SIP Trunck demodulator which will decode the RTC streams directly received on the SIP Trunk via fiber or DSL access. ESI Group invests in a new showroom in its Parisian entity in order to welcome its visitors, customers and partners as much as possible and to favor a close relationship. Combining modernity and conviviality, this new showroom presents the products of the Argos, ESI and ASPLink ranges as well as all the latest innovations of the group. During the “Innovation Days” which will take place during the year, you will be invited to join thematic breakfasts, workshops and product presentations. ​ESI Group wishes you all the best for 2017 ! Philippe Camilleri and the whole ESI Group join me to wish you our best wishes for 2017. A year which shall be driven by innovation, success and a tight partnership between our teams to reach excellence . We thank you for your confidence and remain at your service. To ensure a high level of security, Argos Technologies offers you solutions to protect property and people: CAMLINK a cloud video solution for the video surveillance of your structures. 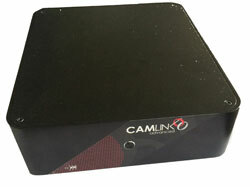 With a single click, you can view the live of your cameras, monitor alarms and check the recordings of your equipment connected to the Video platform CAMLINK. Be alerted in real time with notifications on your computers, tablets and smartphones to react quickly. Your data is stored in a French Datacenter APSAD P3 and accessible only with a secure connection. ATUS & ESI thank you for your visit at Expoprotection ! PERSAFE SmartBadge is a 34 grams unit, Bluetooth connected to smartphone, with SmartApp installed. It sends geo-localised alerts to a server application, without modifying the smartphone use. Thanks to its screen, LEDs and beeper, it will help to follow the sending and the closing of an alert without looking at the smartphone screen. With its ”made in the Netherlands” design, PERSAFE SmartBadge is a nice object and a lone worker protection complete solution. Thanks to all of you for your visit, positive opinions and confirmed interest in ESI products and services ! Many customers, prospects and friends came to visit us, some to sharecoffee and others to discuss about their projects or raise specific issues. The visits have continued at a steady pace and we wish to apologize to all those to whom we hadn’t the material capacity to give sufficient time and attention. Thanks to all of you for your visit, positive opinions and confirmed interest in ESI products and services. - Made the choice to invest and develop such a large team at your service? - Has an R&D team of 28 experienced developers? - Puts at your disposal a team of 5 multi-lingual Hotliners with 24/7 support? - As well as a cell of 5 people dedicated to project management? - Has established so many technological partnerships with international manufacturers? - Was the first to propose open-end solutions concentrating more than 350 alarm/video protocols? - Challenged its R&D, against all pessimistic opinions and any short-term financial interest for the company, in order to develop a complete software solution in thin client? - Concentrates an international experience in more than 30 countries and anticipates the future by participating in so many national and international working groups? - Provides a technological support throughout the life of its customers and assists them regularly in the conquest of new markets? - Has set up a Business Continuity Plan for 10 years, a double management head and guarantees the sustainability of its products by multiplying the resources and skills on each software? We are pleased to invite you to meet us at stand E55- Expoprotection - in Paris from 7 to 9 November 2016. On this occasion, you will discover all our solutions installed in France but also in nearly 27 countries. Keep an eye on your assets with the nomad video recorder WALLink. Water resistant and dustproof thanks to its IP66 protection case, WALLink monitors your sites, cultural & sports events, isolated and remote sites. Quick and easy to install, it can be moved swiftly to suit to your needs. DualCom DigiAir utilises all mobile networks via our WorldSIM instead of a telephone line to signal an alarm from the protected premises to the Alarm Receiving Centre (ARC). It is designed for low to medium risk premises and is an ideal upgrade for wired digital communicators as it eliminates call costs and phone charges. DigiAir is small enough to fit into any existing or legacy control panel. It can be supplied complete with a Compact Power Supply for installations where the control panel is unable to consistently provide 12v DC and provides a more aesthetically pleasing finish. DigiAir is unaffected by Next Generation Networks (NGNs), the telephone network upgrade from copper to fibre to accommodate higher speed broadband services. Unlike older digital communicators, DigiAirdoes not rely on copper to send a signal. Our multi-network WorldSIM is supplied with every DualCom as standard and has an increased signal reliability to reduce abusive alarms. The France’s leading mobile networks are recorded into the DualCom’s memory with the most reliable being selected automatically. Fewer line faults sent to the ARC, means fewer false alarms for Installers and end users. DigiAir is supported by the Gemini & ASPLink Platforms, a Critical Connectivity platforms which have been designed with full resilience and diversity at every point. Gemini & ASPLink check the entire signalling route every minute providing the highest levels of reliability required by professional signalling systems. Users also have access to the Gemini Insight web portal for visibility on the performance of a signalling estate. Die nächste security essen findet vom 27. bis 30. September 2016 statt. Since January 2015, the marketing and communication department of ESI Group is managed by Caroline Crouzet. After a Master II International in Business at IFAG Lyon, specialized in marketing and a gap year in New York at Berkeley College, she joined the security world as Business Developer and Communication Manager within the company IVAS Systems - formerly Vaelsys International - a company specializing in video analytics. Spotted by Claude-Philippe NERI, CEO of ESI Group, she joined the company with a challenging mission: the creation & management of marketing tools, the corporate communication, the community management, the organization of events and exhibitions and the media relations management. Together with ESI new graphic designer and web developer Robin FERNANDES, this team energizes the corporate image. With a dual competence and professional experience in a communication agency, Robin is a real asset for the group. He joined the company in September 2015 to manage the web interfaces, the softwares usability and the design of marketing tools. SoftNet Manager FK1 is the combination of three powerful tools: F1 - multi-protocol tool of information acquisition - K1- management & centralized information software & SoftNet Manager - video surveillance management software. This unique tool, for multiple sources of information, integrates tele-action, real-time management, events detected by the sensor or physical video detectors. It manages more than 300 manufacturers protocols making it compatible with the largest number of existing installations on the market. It has all the means of management and processing information, composed of recognized tools in order to meet all the PC security needs’.
" The Clairoix remote monitoring central station is certified APSAD R31 for fifteen years. Three operators are present 24/24, all year. In 2016, our company has invested in a PBX telephony solution. A continuous education program of our operators was also set up, notably regarding the know-how related to the activity of video surveillance. The company Perin is partner with ESI, provider of high-tech solutions. Software editor for remote monitoring, telecare, CCTV. ESI Group was established in 1999 and is based in Le Cannet (06). " Following the integration of the alarm supervisor K1 with SoftNet Manager, it is now the turn of the ESI communication interface F1com. F1, front end receiver, supports nearly 200 alarm, security supervisors and access control system protocols. This interface allows the Manager SoftNet to receive any alarm message including those of F1 which is the main objective of this integration. What possibilities for the future? Currently, there is already a compatibility with many systems managing access control: Bosch, Siemens, Synchronic, Gunnebo, Telem, Til Technologies, ... The ESI development team strengthens and supports Softnet Manager development team in order to achieve a rapid integration of new access control protocols to complete the list. The compatibility of new protocols will be communicated as soon as they are ready when they will be realized. Some manufacturers have already decided to integrate F1com to ensure this consistency. From now on SoftNet Manager integrates Axioms and ARD protocols thanks to F1com. Diverse Telekommunikationsdienstanbieter aus Großbritannien, Spanien, Deutschland, Schweden und Italien haben bereits angekündigt, dass sie demnächst komplett auf IP-Telefonie umsteigen wollen, und in Frankreich will Orange bis zum Jahr 2020 sein gesamtes Festnetzsystem einstellen und komplett durch moderne IP-basierte Services ersetzen. Das bedeutet, dass bis dann der Umstieg von althergebrachter, analoger Festnetztechnologie auf die IP-Technik in jeder Empfangszentrale (CMS) abgeschlossen sein muss. Um diese Umstellung für Installateure und ihre Kunden zu vereinfachen und um sicherzustellen, dass diese von sämtlichen Vorzügen der IP-Technik profitieren und eine vollständige SPC-Integration durchführen können, hat Vanderbilt zusammen mit ESI ein ehrgeiziges Projekt umgesetzt. Das Ergebnis ist eine Plattform zur nahtlosen Kommunikation zwischen einer SPC-Meldezentrale und einer CMS, die durch die Alarmempfangs- und Videoübertragungsgeräten „F1“ und „V1“ von ESI umgesetzt wird. „F1“ unterstützt im Bereich der Alarmübertragung unterschiedliche Netzwerke und Protokolle in einer komplett offenen Lösung. Durch die Verwendung eines vereinheitlichten Standardprotokolls wird die parallele Nutzung mehrerer unterschiedlicher Systeme überflüssig gemacht. Zudem ermöglicht „V1“ das Annehmen und Führen von Gesprächen, die Audio-Verifikation von Ereignissen sowie das Speichern von Videoaufzeichnungen auf einem Backup-Server. „V1“ wiederum bietet bidirektionale Kommunikation mit der Alarmüberwachungssoftware, wobei es die Client-Server-Architektur ermöglicht, jedem CMS-Anwender Videos auf seiner Workstation bereit zu stellen. Dadurch bieten beide Geräte jedem Anwender die Möglichkeit, auf umfangreichere und aussagekräftigere Daten zur audiovisuellen Verifikation zuzugreifen. Unter anderem können die Anwender jetzt mit maximaler Effizienz auf jedes Alarmereignis reagieren, indem sie dieses in Echtzeit überprüfen und beispielsweise – falls es sich dabei um einen Fehlalarm handeln sollte – rechtzeitig die unnötige Entsendung von Einsatzkräften verhindern können. Da die Anwendersoftware speziell für die Interaktion mit SPC entwickelt wurde, ermöglicht sie eine engere und umfassendere Integration. Dadurch kann jeder Anwender von den einzigartigen Funktionen und Vorteilen eines der besten Einbruchmelde-Produkte das derzeit auf dem Markt erhältlich ist, der SPC-Familie, profitieren. SPC hat in diesem Zusammenhang bereits mehr internationale Zulassungen als jedes andere System in der Sicherheitsbranche erhalten. After the excellent edition of 2014 – 29,000 square meters of exhibition space, 512 exhibitors & 20,301 trade visitors – SICUREZZA, the leading international event in Italy in the sectors of security & fire-prevention, returns to Fiera Milano from 3 to 5 November 2015. ESI Group invites you to its stand R25 to discover its latest innovations in security. Recent events confirmed our feeling that the Alarm Monitoring Market Place is naturally helped by the new technologies. The present Network weakness (PSTN and GPRS) will be abandoned to switch mainly on 4G and tomorrow 4G+; 4.5G; 5G or fibre network for information and multimedia transportation. Connected devices, Artificial Intelligence, Embedded Intelligence will provide sustainable solutions to face the Big Data of security information. This situation is an opportunity for the Cybersecurity. In the near future, machines that are linked together in networks could revolutionize the architecture of existing infrastructures including manufacturing, energy distribution and transportation systems. We believed that security occupies an important place in this new model. In this market place all things, goods and people will be connected: trucks, buses, cars, peoples, pets, bags, phones, watches, precious objects. Such a big number information that need to be stored, analysed and dispatched to specialized platforms concerned by Homeland Security, Elderly care, Geographical Localization, Residential security, Goods transportation, Fire alarms and individual security. An ARC will be linked to The Big Data Could in order to cross-needed information to assume the security of goods, Building and people. Getting location, Health Status and of course video Live. The concentration of information in Data centers. All old PSTN and GPRS network will disappear, replaced by high speed connexions transporting Datas, Video and Sound. ARC’s will become international in a cross Borders mode. For Europe, only two ARC’s will be necessary. Having all the technologies for receiving, analyse and treating the information dispatched to operational workstation in each country providing a reliable relationship in the language of the customer. Artificial Intelligence could be used in order to help operator’s to get the right decision in this maelstrom of information. ESI helped by his large R&D department is continually adding features to reaching this target. The cross border capability, the cloud storage, the multimedia receiving information, the multilingual support, the high speed networks support is our present. In my position of Commercial Director of the ESI Group, I am committed to provide you with the fastest responses as possible to all your inquiries for which the ESI Sales Team can help with a better internal coordination in between services. Your Sales Executive is your primary interlocutor and remains at your disposal should you have any commercial inquiry related to this or a new project. I will personally check all your messages on a very regular basis and avoid any delay for getting your responses back. Our common Objective : your maximum satisfaction ! ESI wishes you very Happy Holidays !! Claude-Philippe NERI, CEO, Philippe CAMILLERI, MD, and the entire ESI Group staff would like to thank their customers for the confidence given during all the year 2014, and wish them very Happy Holidays and a Merry Christmas. For Information, ESI are closing their offices from 24/12/14 till 2/1/15 (reopening on 5/1/15). In 2015 the ESI Group will launch new strategic initiatives marked by always more creativity whilemotivated by always better servicing their clients. We look forward to reconvening in 2015. Like every year ESI Group are participating to IFSEC 2014 and will reveal new products from ESI and ARGOS Technologies. ESI will introduce a powerful Video Analytics module adding to their Global Solution portfolio for CCTV CMS and Alarm Monitoring Centers. This new AV1 product features real time Video Analytics to eliminate false alarms hence much better drive operators’ intervention decisions. The AV1 module enhances ESI’s V1Multiprotocol client–server video solution supporting already 120 video protocols. ARGOS Technologies will show an All-In-One VMS solution based on SoftNet Manager and INTEGRAL SDI Hx, a software and hardware solution installed at any site being video monitored by a central Monitoring Station which providing : 3D maps management, Video Recording of cameras, Video analytics algorithms embedded and HD-SDI technology compliancy. Register on this link to visit our booth C1525. AFONE - France : Horus migration to M1 . TELECONTROL - Italy : migration URMET solution to M1 and complete station Global Solution . COMMEZBANK - Germany : migration of owner solution to M1. PROSEGUR - France : Horus migration to M1 and implementation of a Cyberguarding's platform. LYNX - Swiss : Horus migration to ESI system. PRESENCE VERTE (Groupama) - France : Horus migration to M1. HELWATCH - Austria : migration of various front to front F1. Town Hall of Tours : migration T2i and Azur Soft to ESI Global solution. CONDOR - Allemagne : migration of the owner system to ESI Global solution. Very many other customers have trusted us. Bank RAIFFENSEN - Luxembourg : installation of VMS and cameras in bank agencies. General Management of Armaments - France : Cyberguarding solution. CORS On Line - france: Cyberguarding solution. The ASP Link's plateform is now installed in a new Data Center located in Puget sur Argens, in a monitoring station who is in acquisition of the qualification APSAD P3. The platform is redundant to another station APSAD P3 in Limoges. ASP Link provides all modules and technical resources , as well as all protocols of Global Solutions in range SAAS (Software As A Service) . Disaster Recovery : platform replicated in real time or delayed (depending of choices and volumes) immediately available in case of fall of the client platform. SAAS : provision , through a simple internet explorer via VPN , of all ESI solutions for operators wishing to manage their alarms themselves without worrying about the technical part . Resource sharing : sharing resources on specific protocols or links requiring implementation costs in TBS too expensive compared to the number of customers managed . The video will soon be available as a cloud .